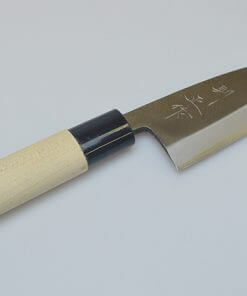 Kumano brush has become widely known among women who wishes to be considerate of their own skin. It’s a government-recognized product which was gifted to the member of Women’s National soccer team as an extra prize of National Honor Award. The increase in the popularity, however, is due to the high quality achieved through the non-mechanized process of production more than anything else. 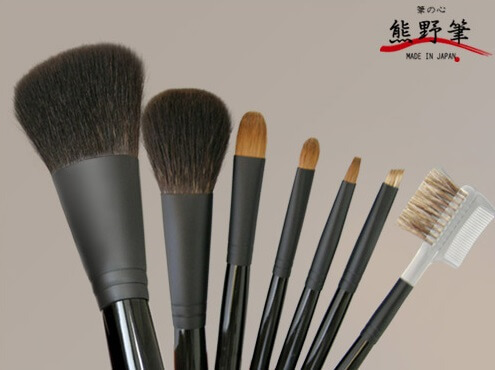 There are about 70 steps required in the making of one brush, most of them are handmade. How a small village in deep mountains became nation’s top producing center? Why they don’t mass produce by machine? Because it’s impossible! 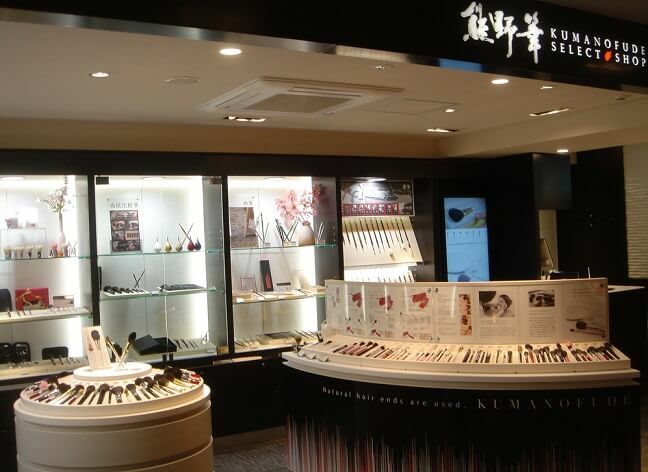 First, let me introduce you to the select shop in Ginza that handles a number of Kumano brushes. 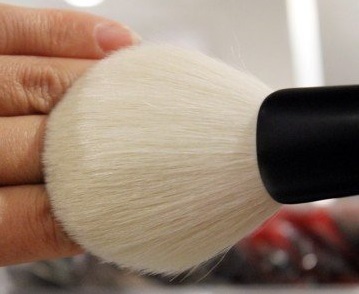 The animal fur used on the tip of the brush has a flaky texture similar to that of a person’s hair, which catches the powder without making the applied color dull. The people who visit this select shop is mainly women in their 30’s or over, who are looking for a delicate brush for their skin. These fur is also what creates the smooth, delicate feel for the skin. When the fur tip makes contact with your skin, you can instantly tell that Kumano brush is different from all the other brushes. It’s soft, gentle, does not cause the sort of irritation even against sensitive skin, and it almost feels as though the brush isn’t touching you. This comfortable texture is achieved through using an animal fur as it is, that is to say without cutting and changing the length of the actual hair. 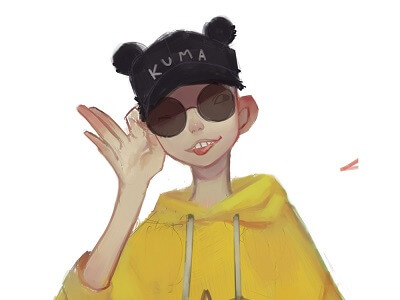 Let me introduce you the producing center of these brushes next. 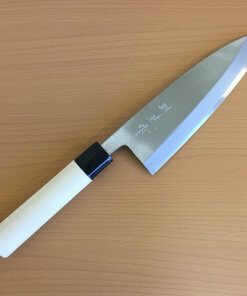 Kumano brush is named after its production area, which is Kumano-cho in Hiroshima Prefecture. 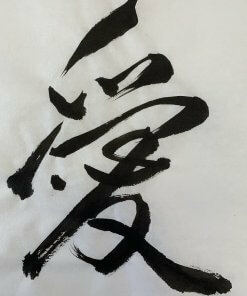 For a brush to be called “Kumano” brush however, it has to achieve a certain standard. Kumano-cho wasn’t originally an area fit for brush making. It’s a small village surrounded by a mountain, so people had to leave for Nara during the off-season for farming to earn money. Since Nara was a huge production area of ink and brushes, the people from Kumano would purchase these items with the money they’ve earned, and would sell them during their way back home. 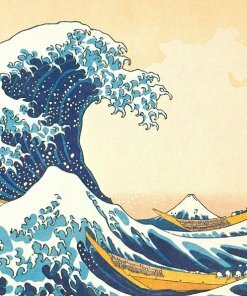 Somewhere around the Edo period, however, one of such workers found a way in professional brush making, and brought the techniques back home. Since then the brush production in Kumano has expanded. Even as the modernization of brush production began in other areas, the small village continued to stick with the traditional brush making. Such techniques provided the foundation of the Kumano brush production. 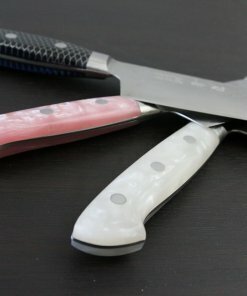 Kumano brush finally saw the light of the day when a famous company noticed its possibility and brought it out into the bigger public. 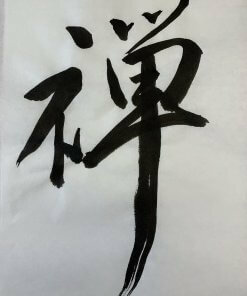 Once widely introduced, their brush was recognized for its high quality and became worldly known. Today, 2500 people (approximately 1/10 of total population in Kumano village) participate in the making of Kumano brush, and there are more than 100 brush production companies in the area. 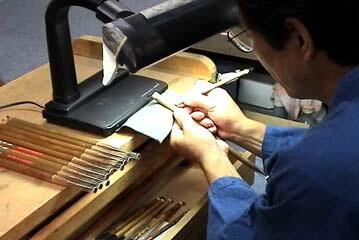 It takes more than 70 steps to create one Kumano brush, and most of them are done by hands of the crafts people. 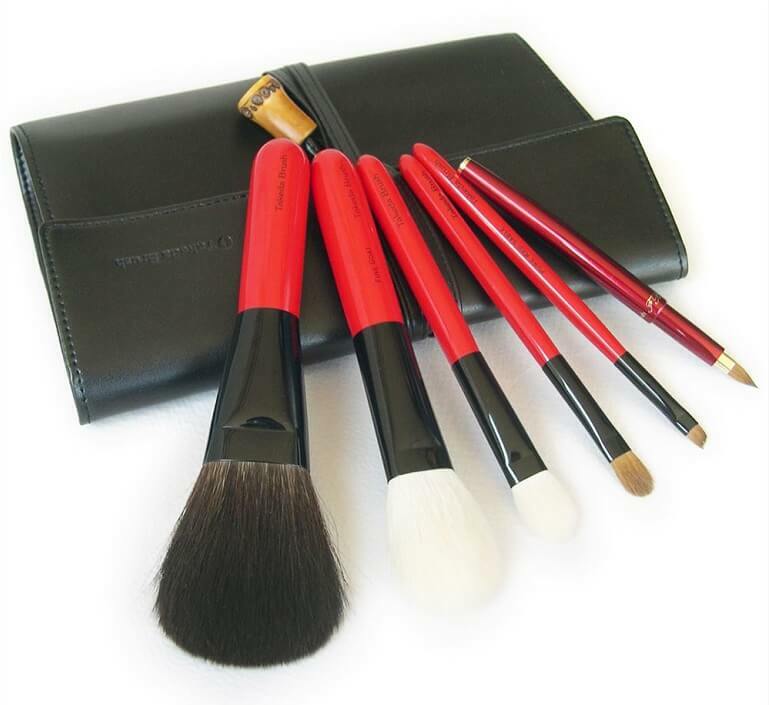 Why would they stick to manual work when the production of brushes are becoming increasingly mechanized, people ask. According to the crafts people, mechanization of Kumano brush production is, in fact, impossible. 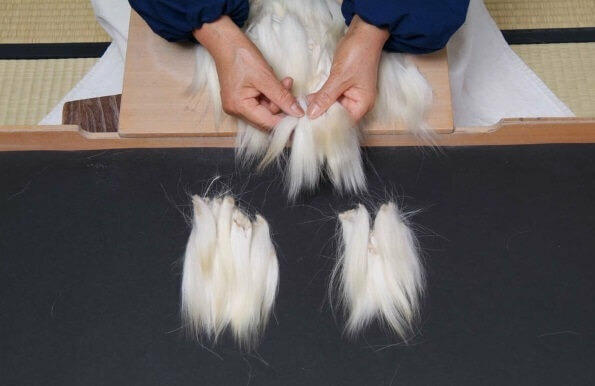 Kumano brush is made from the fur and fibers of different species. After they gather the materials, crafts people need to select the hairs of equal quality, wash off the oil and dust, and bundle them up into one. Imagine differentiating between hairs of a person; each and every one of them has a difference, but even a human eye can hardly tell the difference. The technology today, just like most human being, cannot tell these minor differences that is essential to the making of a perfect brush. Only the experts of this field have the ability to tell them apart, and that is why everything has to be manual. In the past, there was an attempt to mechanize the process of the brush making, but they came to a conclusion that it is too difficult. It may not seem so at one look, but making of this gentle brush that ‘applies the powder correctly’, requires an extreme intricacy that even machines cannot achieve. 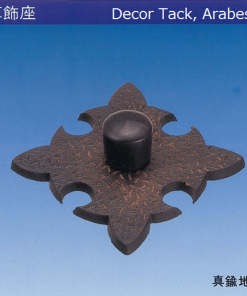 Kumano brush is a product of passion and the delicate techniques of the crafts people. 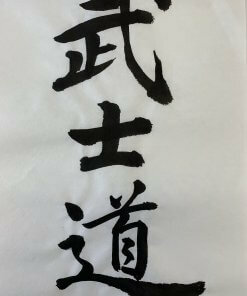 Why the World’s Best Calligraphy Masters Love Inshu-washi Japanese Paper?